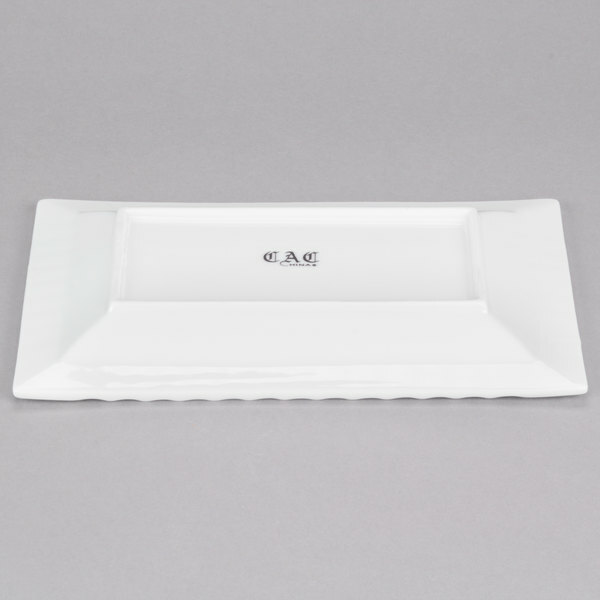 Enhance your presentation with this CAC QE-12 Queensquare 10" x 6 1/4" bone white rectangular porcelain platter! 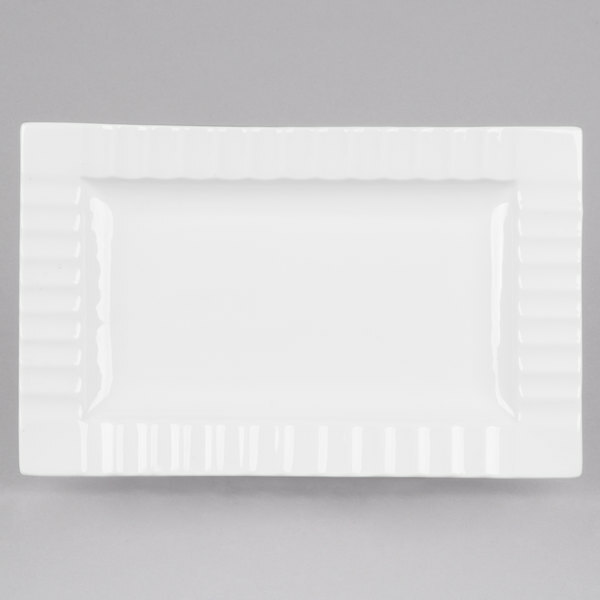 Featuring an elegant, embossed rim and a fine bone white porcelain material, this platter helps you create a sophisticated tabletop. 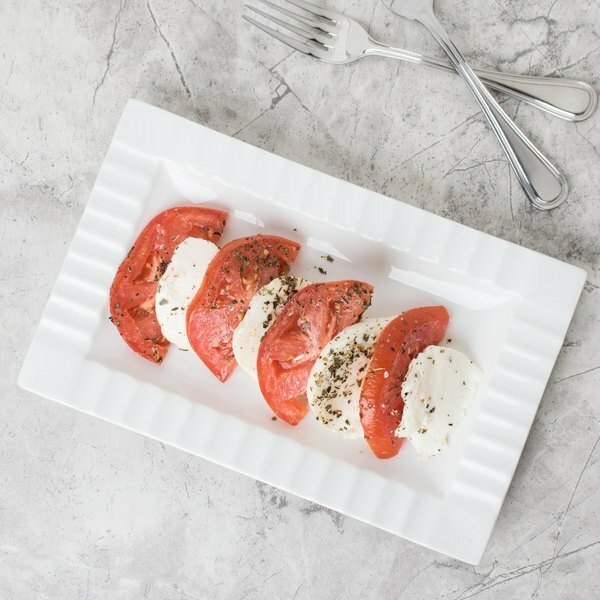 The neutral color provides the perfect backdrop for appetizers or pastries. 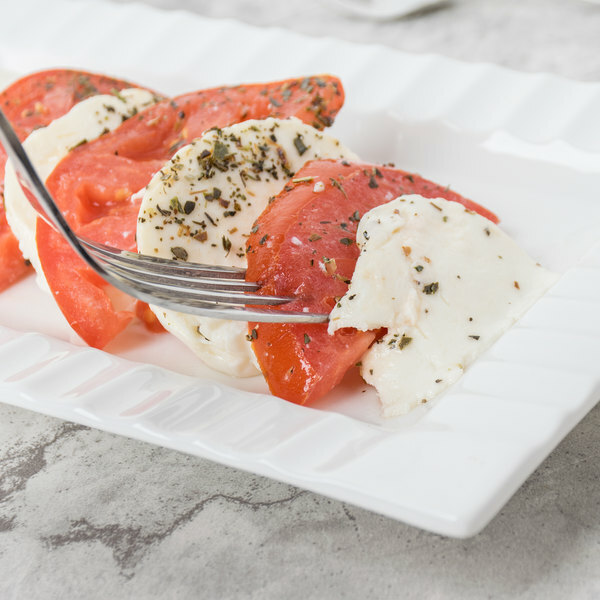 Whether you're serving tea sandwiches or mini cupcakes, this platter is a must-have addition to your serveware collection. 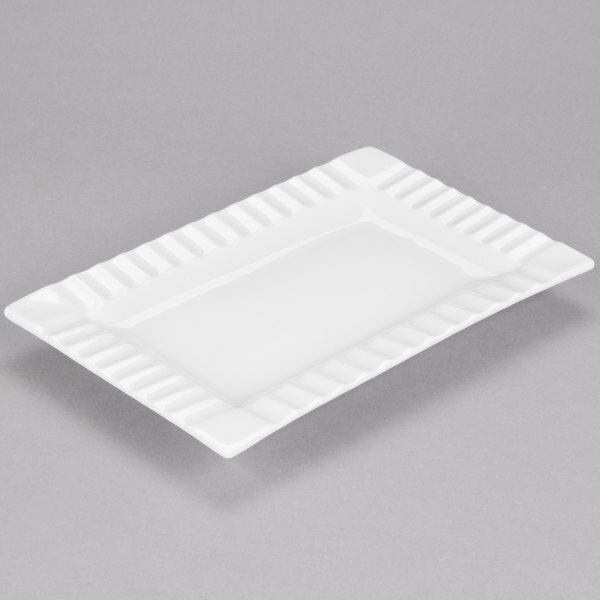 Thanks to its 10" x 6 1/4" size, this platter is great for catered events, upscale restaurants, and bistros. 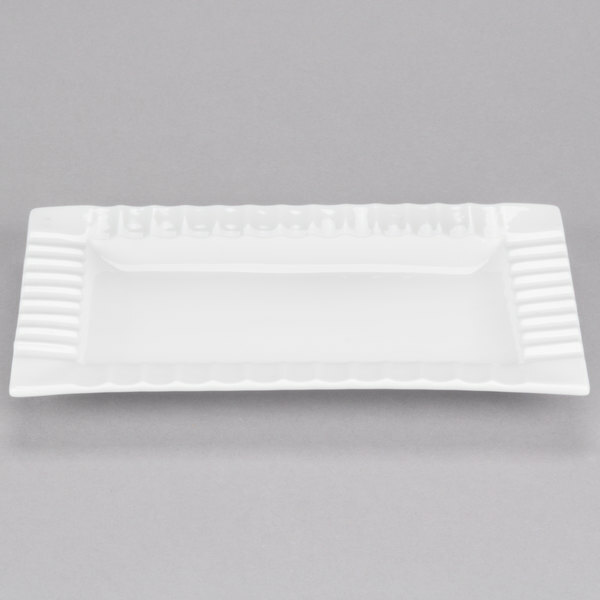 Its modern, rectangular design makes it a versatile piece for everyday use. 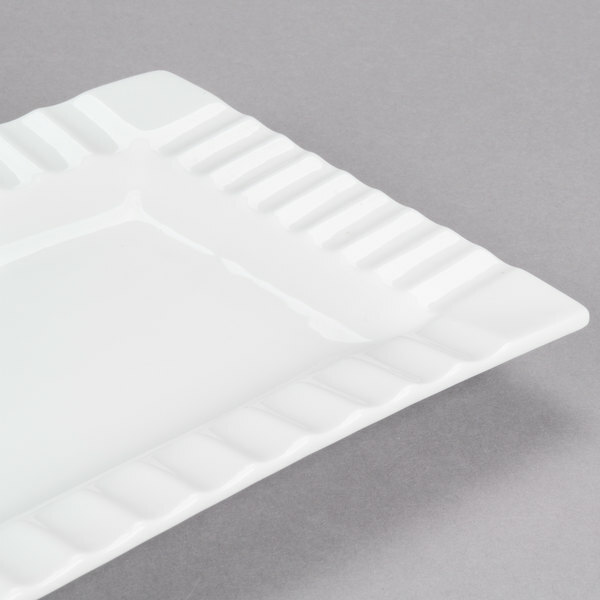 You can use this platter to organize your buffet offerings for an eye-catching display or you can plate signature dishes and serve guests for an unforgettable dining experience. Plus, it's fully vitrified for added durability and chip-resistance, making it ideal for long-lasting use.